Ricky Sim and MCCHR discuss the Malaysian High Court ruling in the Seksualiti Merdeka case. This makes the second and final part of a two-part article. Read the first part here. In the first part of my article, I explained that the Seksualiti Merdeka case had nothing to do with what the police accused it to be. By labeling it as a “deviationist activity” and that it threatens freedom of religion, harmony of a society, and national security, the police really did not tell the public much aside from inciting fear and hatred against a group of marginalised people. The second part of article will examine the basis of the police ban. According to the High Court, in 2012 the police correctly stopped Seksualiti Merdeka on the basis that the “activity is likely to be prejudicial to the interest of the security of Malaysia or any part thereof or to excite a disturbance of the peace.” This is the basis of Section 27A of the Police Act 1967. Although section 27A of the Police Act 1967 was repealed last year, it is still useful to see how the said section is not a reasonable one. My problem with this ruling is two key terms that gives the police the ultimate discretion to decide whether to stop an event – one is the phrase “prejudicial to national security” and the other is the word “likely”. Let me state this at the outset, there is, of course, a need to have a legitimate government, to maintain a structured society like how Thomas Hobbes theorised in Leviathan, and that freedom of expression should be restricted in certain situations; in fact international human rights law allows restrictions to freedoms in the name of national security. But any such restriction should be clearly provided by law, legitimate, necessary, and proportionate. Clarity is required to prevent any arbitrary or discriminatory enforcement of the law. Without clear instructions or parameters, this could result in the important task of policy making, which should be done by the elected parliamentary representative in a democratic system, shifting to unelected officers sitting in the prosecutor’s office, the police department, or the courtroom. – the genuine purpose and demonstrable effect is to protect the existence of the nation or its territorial integrity against force or threat of force. Granted, international standard also prescribes the word “likely,” but likely to incite imminent violence is quite different from likely to be prejudicial to the interest of the security of Malaysia. The difference is this – if an act is likely to incite imminent violence (not just violence, but imminent violence), the security of a nation and a society is clearly compromised. However, likely to be prejudicial to national security could comprise a wide variety of activities and can be more subjectively interpreted (how to decide what is prejudicial?). Also, the likelihood of imminent violence is one of the three pre-requisites to be fulfilled before freedom of expression may be restricted on the grounds of national security. This is thus arguably a more objective approach with defined parameters, rather than a seemingly subjective interpretation of what is likely to be prejudicial to the interest of national security. As a result of both these problematic phrases, the police have been left with broad and unscrutinised power to take action. Because the result of a police ban is the limitation to freedom of expression and assembly, it is important that the police or whichever authority making such decision be required to act in good faith and take reasonable steps to verify there are valid and real grounds. In this case, the police received reports lodged against Seksualiti Merdeka, claiming that the event threatened the practice of freedom of religion. 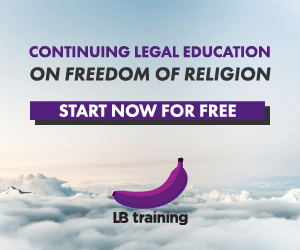 From the above, there are two ways freedom of religion can be infringed –firstly, by limiting one from choosing his or her religion; and secondly, by restricting one from manifesting his or her religious practice. Here, the police did not exactly demonstrate how freedom of religion was “destroyed” by the Seksualiti Merdeka event. In any case, the forum to determine whether the event infringes another’s freedom of religion is the court. Also, it is imperative that the Court provides reasons for its decision, that is, if the activity is prejudicial to national security, it is hoped that the Courts explain how the Seksuality Merdeka activity is likely or intended to incite imminent violence; that the Seksuality Merdeka activity would cause the likelihood or occurrent of such violence; and that it is demonstrable that the ban is needed to protect the nation.Telling one something is wrong is never enough unless we tell and convince him or her why it was wrong. In this instance, I am reminded of a Singapore case of Thong Ah Fat, where the Court of Appeal held that the “legal cogency and coherence of a decision must therefore also be demonstrated to justify it”. If both the judge and police do not elaborate upon their decisions, this could contribute to misunderstandings amongst the different groups of citizens. Besides a legal perspective of why reasons for the ban were flawed, if a public discussion about discrimination and equality can become so sensitive that could cause some members of the public to compromise the national security (violently or not), doesn’t it have a lot to say about the maturity of the public? The whole point of us being human is that that we can observe, learn, analyse, discuss, then conclude. If the conclusion is being challenged, we go through the whole process again. This way, we don’t always have to resort to solving problems by violence. The government cannot automatically assume that national security will be threatened just because various organisations filed complaints against the forum. Whoever filing the complaints should feel free to attend the event and express what and how they feel about homosexuality. The freedom of expression, believe it or not, applies to everyone; that was the whole point of the festival – to provide a safe forum to exchange ideas. It was really unnecessary to express any violent tendency against it, and it was even more unnecessary for the police to believe that security of the nation was threatened. Ricky was born in Malaysia. He is now a law student in Brooklyn, New York. He spent his first year summer interning at MCCHR and a KL law firm. Posted on 14 September 2013. You can follow any responses to this entry through the RSS 2.0. Read more articles posted by Ricky Sim.